Welcome to Varbergs Kusthotell, 45 minutes south of Gothenburg and fifty two steps from the sea. We offer an energizing atmosphere designed to create group dynamic, cohesion and new powerful ideas. This thanks to where the venue is situated, living with the horizon and the opportunity to enjoy Sweden's only Thalasso SPA. Many appreciate our bistro that invites to the feeling of fellowship and serves its food with love, cooked with local ingredients, the beautiful seafront promenades and the opportunity to work out in our training facility. Relaxation, effort and work in harmony in other words. In our beautiful surroundings there are 12 inspiring conference rooms and the Villa Apelviken conference house for groups of up to 220 delegates. The group size range is between 2-220 people and of course we have rooms with lovely sea views. On a very own floor there are eight conference rooms suitable for 2-30 people. The conference floor offers rooms with the latest technology, allowing meeting participants to experience a creative environment beyond the ordinary! 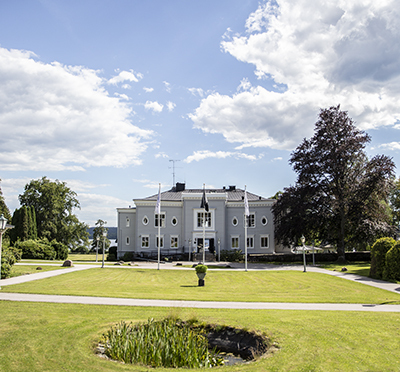 For larger groups there is a unique house that can be transformed from a regular meeting place to a party one for up to 220 people - we call it Villa Apelviken. It is includeded free professional help with targeted planning of the meeting. Expect successful results! Have you been to Varbergs Kusthotell and want to give your own comments?